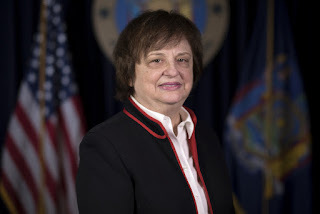 NEW YORK, N.Y. -- Attorney General Barbara D. Underwood – part of a coalition of 10 Attorneys General – today harshly criticized the Trump administration's proposed rollbacks of rules implementing the Endangered Species Act (ESA). The Attorneys General submitted a comment letter describing critical flaws with the ESA rollbacks that were proposed by the U.S. Fish and Wildlife Service and the National Marine Fisheries Service. "The Endangered Species Act has protected New York's – and our country's – iconic animals for decades, with strong bipartisan support. The Trump administration is now seeking to dramatically weaken those protections, leaving endangered species and their habitats at dire risk of extinction," said Attorney General Underwood. "Our coalition of Attorneys General will continue to fight back against the Trump administration's continued efforts to put special interests before our environment, our health, and our planet." For over 45 years, the ESA has protected thousands of iconic and threatened species across the country, including the bald eagle, California condor, grizzly bear, and humpback whale. In New York, endangered species like the blue, finback, and humpback whale, bog turtle, piping plover, shortnose sturgeon, Indiana bat, and Karner blue butterfly have long been protected by the ESA. The Trump administration's plan would dramatically weaken current protections and reduce federal ESA enforcement and consultation, putting these endangered species and their habitats at risk of extinction. Repealing regulations that protect threatened species from harm, harassment, or death from human activity. Today's comment letter was signed by the Attorneys General of Massachusetts, California, Maryland, New York, Oregon, Pennsylvania, Rhode Island, Vermont, Washington, and the District of Columbia. The Endangered Species Act is one of many landmark federal environmental laws passed in the 1970s, a time when Congress and the American public were becoming more aware of and troubled by the advancing degradation of the nation's natural resources. It has been one of our country's most effective tools for ensuring human activities that may adversely affect endangered and threatened species and their habitats are avoided or significantly reduced, preventing the extinction of 99% of species listed under the Act since its inception in 1973.